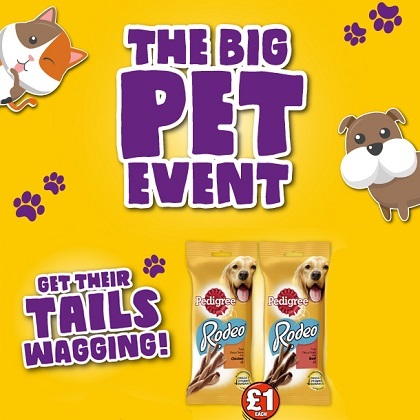 Treat your pet to some delicious treats from Poundland where bargains are raining cats and dogs. Pick up packs of Pedigree Rodeo and Cesar Mini Joys and Mini Bones for your dog and for only £1 each he can enjoy his favourite treats. And, if you have a cat then stock up on super crunchy Dreamies. They'll love you for it.